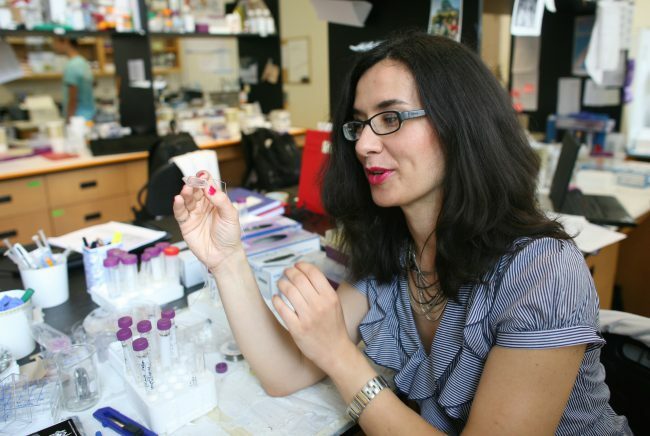 Milica Radisic will be inducted into the Royal Society of Canada’s new College of New Scholars, Artists and Scientists (Photo: Caz Zyvatkauskas). Professor Milica Radisic (IBBME, ChemE) is among three U of T researchers named to the inaugural cohort of the Royal Society of Canada’s new College of New Scholars, Artists and Scientists – an initiative that recognizes the emerging generation of Canadian intellectual leaders. 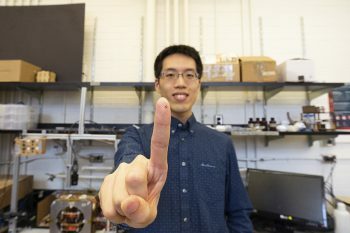 Radisic, a researcher in both the Institute for Biomaterials and Biomedical Engineering (IBBME) and the Department of Chemical Engineering and Applied Chemistry (ChemE) at U of T, is a world leader in the field of cardiovascular tissue engineering. She was cited by the RSC for her innovative techniques in designing and developing new heart tissue derived from stem cells. Her contributions have been recognized by multiple national and international prizes, most recently an NSERC Steacie Fellowship. Radisic joins three other U of T researchers in the College, including religious studies professor Amira Mittermaier and historian Nathalie E. Rothman. In total, the RSC has named 91 members to the College from 52 Canadian universities and other institutions. The initiative’s mandate is to address issues of particular concern to the group of interdisciplinary collaborators, for the advancement of understanding and the benefit of society, taking advantage of the interdisciplinary approaches fostered by the RSC. Learn more about RSC’s College of New Scholars, Artists and Scientists.